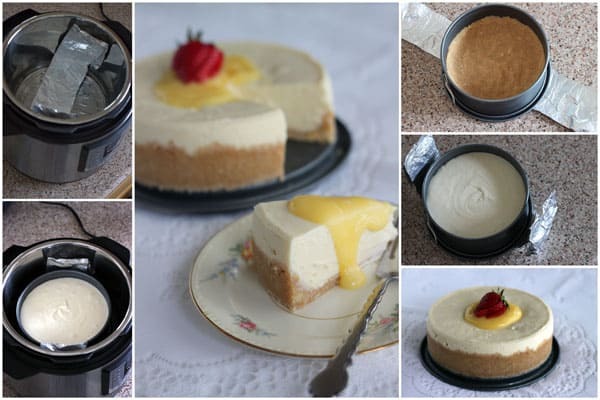 Pressure cooker cheesecake recipes create creamy, decadent cheesecake, that’s even better than oven baked cheesecake, and cheesecake made in a pressure cooker is ready in less time and with less fuss! 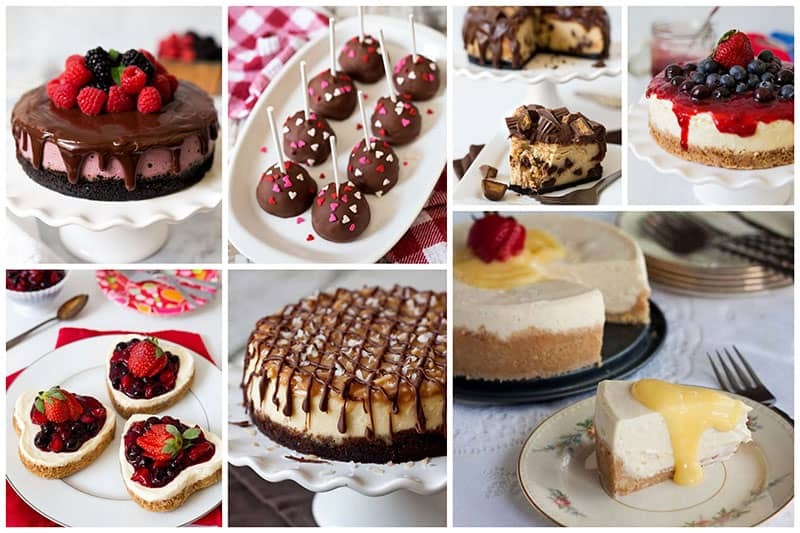 These are the best pressure cooker cheesecake recipes, giving you inspiration to create quick and easy cheesecake desserts! 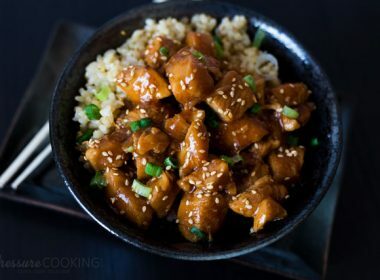 Enjoying cheesecake made in a pressure cooker or Instant Pot starts with having the best pressure cooker cheese recipes, but it doesn’t stop there. 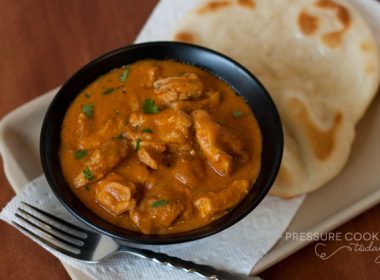 In addition to having a great cheesecake recipe to make, you will also need to know how to properly operate your pressure cooker. Having knowledge of how to make cheesecake helps as well. 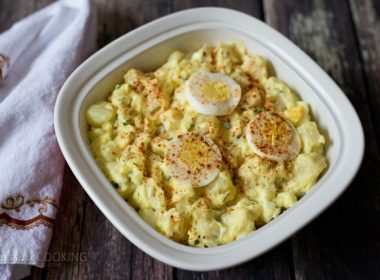 Have all ingredients at room temperature, especially the cream cheese. If the ingredients are still cool or cold, it can lead to a cheesecake with lumps and cracks, and lumpy cheesecake is a sad thing, my friends. Use a sling for the pan. A sling made from aluminum foil will help you to lift the hot cheesecake pan gently from the pressure cooker. Without an aluminum sling to help, you might drop the hot pan, ruining your cheesecake in the process. Don’t press the crust too far up the sides of the springform pan. If your crust gets too high up in the pan, it will be exposed to more moisture, which can lead to a soggy crust on the cheesecake. Make sure the cheesecake is completely cool or chilled before slicing. 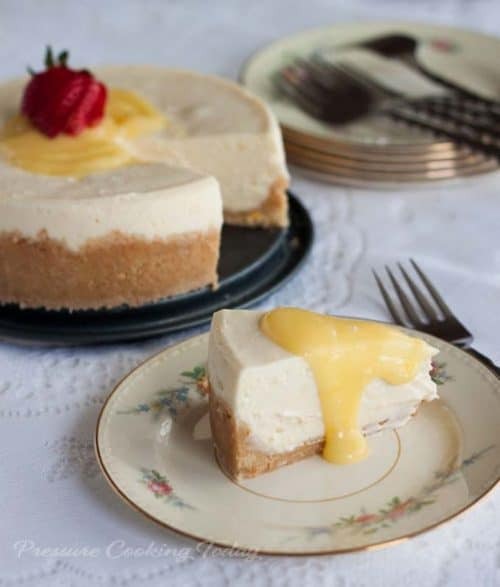 If you slice into the cheesecake before it has completely cooled and/or chilled (depending on the recipe), the crust is likely to crumble or the cheesecake may fall apart. 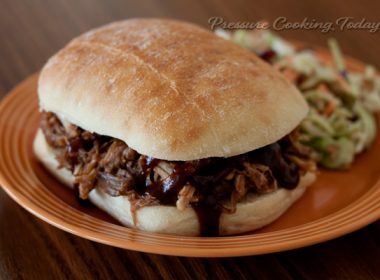 If you need to cool it down quickly, wrap the bottom of the pan with aluminum foil and place it into a large bowl of ice. Now that you have some helpful tips to help you make the perfect cheesecake, take a look at the recipes below. They are my favorite cheesecake recipes. Be sure to Pin or bookmark your favorites so that you have them handy when you are ready to bake your cheesecake! If you’re looking for a pressure cooker cheesecake recipe that you don’t see here, please let us know! 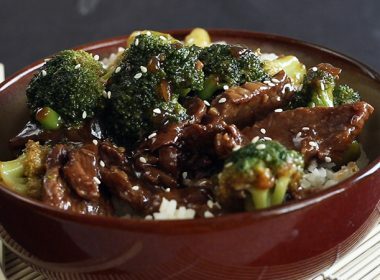 Contact me with your request and I will create a recipe for you if I can. Now, let’s get this best cheesecake recipe party started! 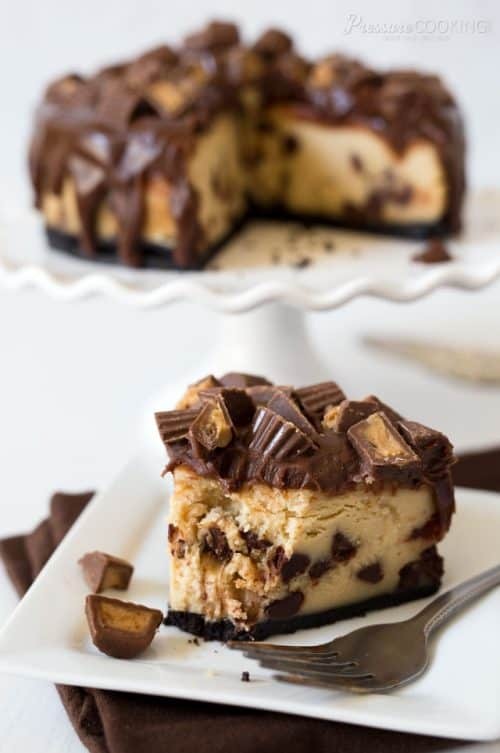 This is a creamy peanut butter chocolate chip cheesecake with an Oreo cookie crust. 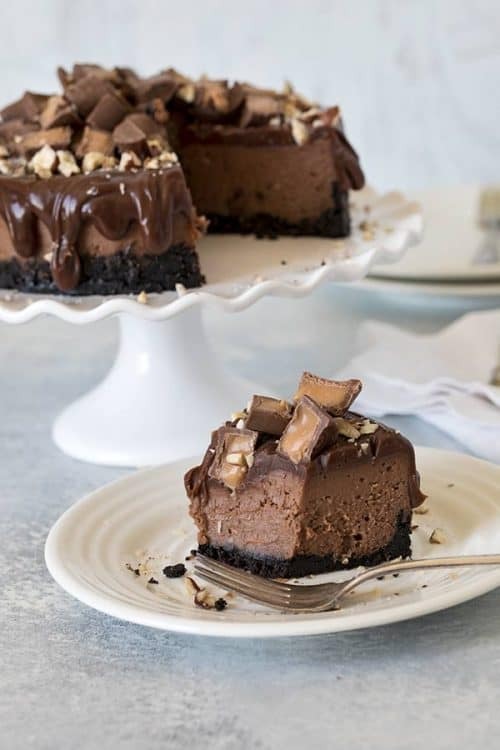 The decadent cheesecake drips with milk chocolate ganache and chopped peanut butter cups on top. Creamy, rich, silky smooth vanilla cheesecake topped with juicy, sweet fresh strawberries and blueberries. 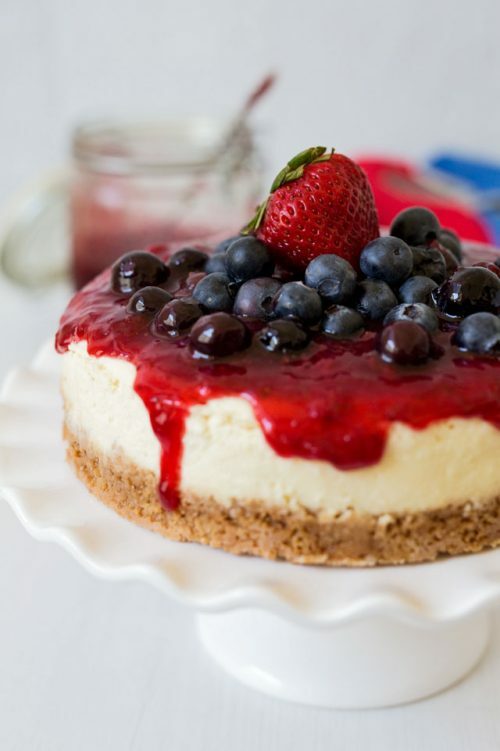 This pressure cooker cheesecake recipe is the perfect dessert for the 4th of July. 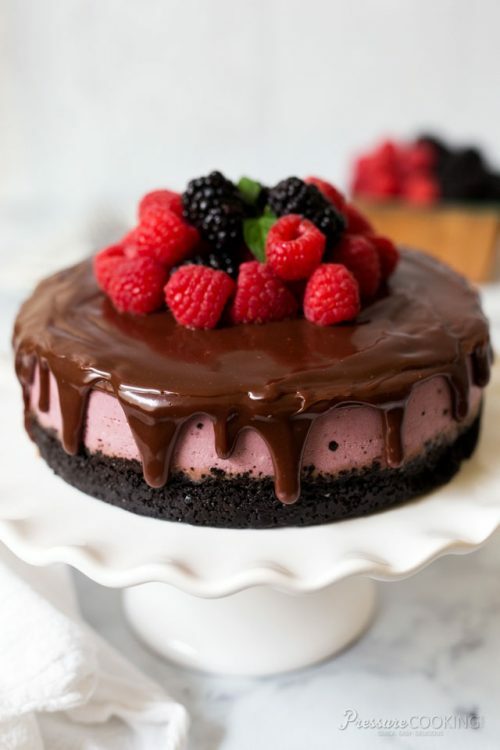 This colorful raspberry cheesecake has an Oreo cookie crust, is covered with thick chocolate ganache, and crowned with a tower of fresh berries on top. A rich, creamy, decadent Nutella cheesecake topped with chocolate ganache, Rolo Candies, and chopped hazelnuts. This easy cheesecake recipe is ridiculously delicious! 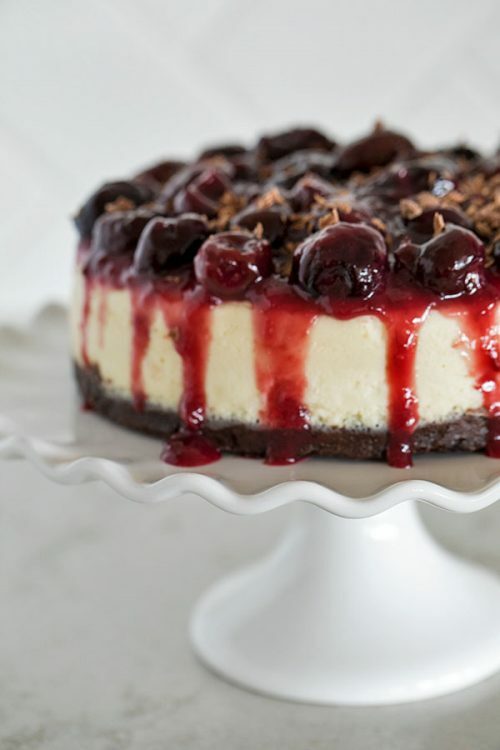 This Black Forest Cheesecake has a fudgy brownie bottom topped with creamy smooth cheesecake and a helping of sweet-tart cherry compote. Smooth, creamy cheesecake dipped in rich milk chocolate and fun red, white and pink heart sprinkles. 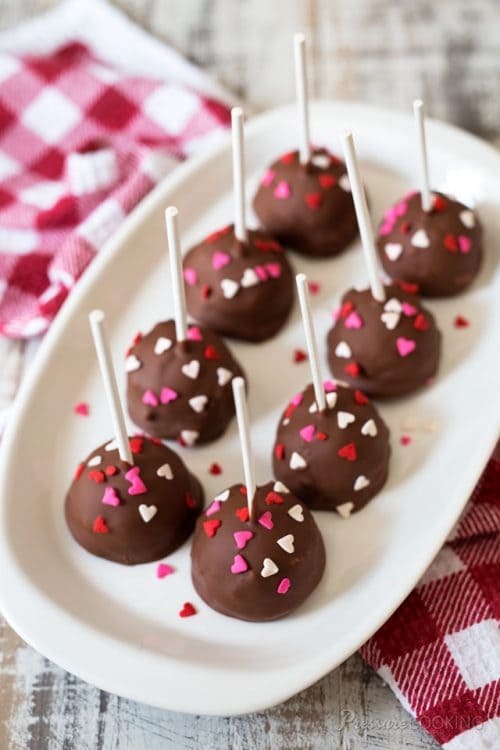 These luscious, easy-to-make cheesecake pops are the perfect Valentine’s Day treat. This creamy marbled cheesecake has swirls of orange and white, with a chocolate Oreo crust. This makes it the perfect Halloween dessert! 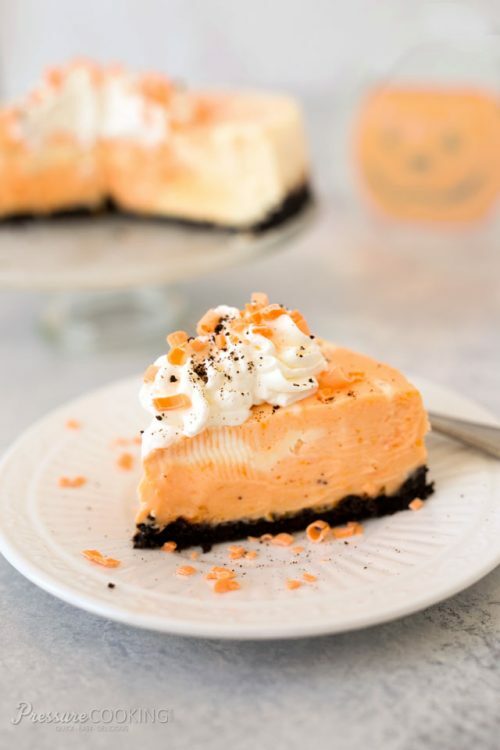 A luscious, easy-to-make Pressure Cooker Candy Corn Cheesecake sweetened with honey. 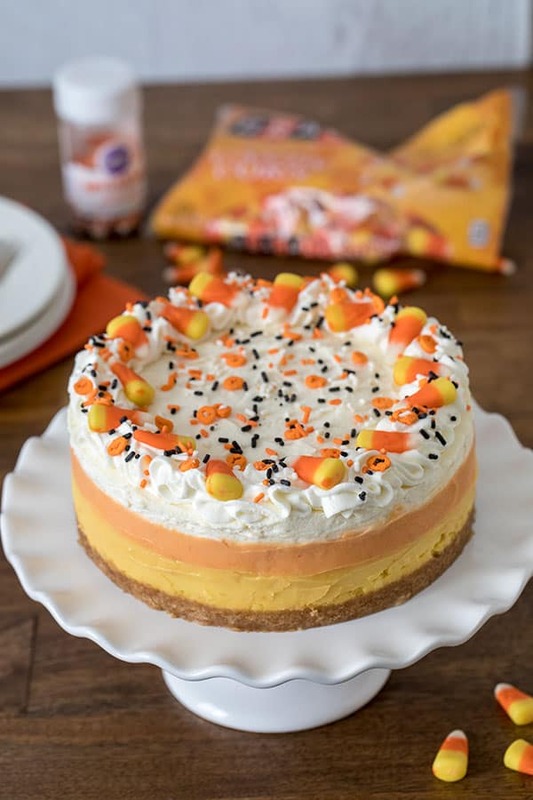 This fun tri-colored Halloween dessert is the perfect Halloween treat. 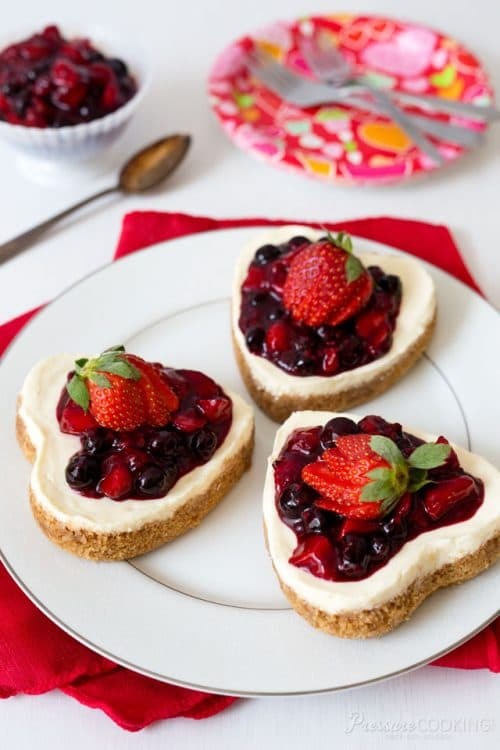 Rich, creamy vanilla cheesecake with a graham cracker crust in a fun heart shape. The cheesecake has sweet triple berry sauce on top. A perfect dessert to share with your Valentine. 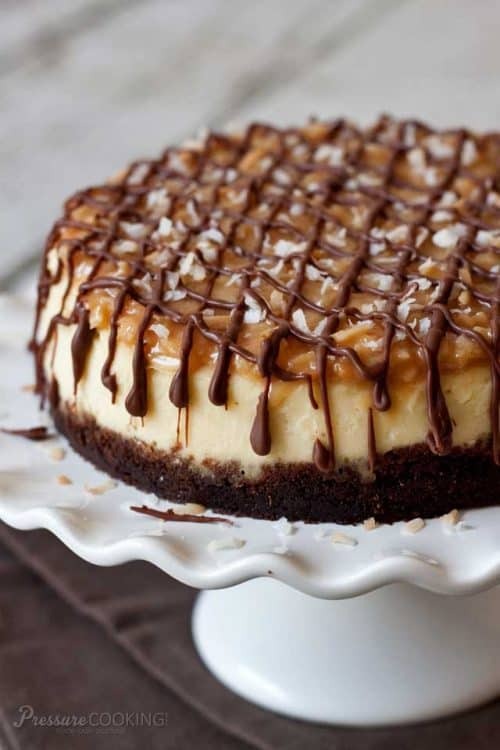 Rich New York style cheesecake with a crisp chocolate graham cracker crust, crowned with coconut caramel topping and finished with a drizzle of semi-sweet chocolate. 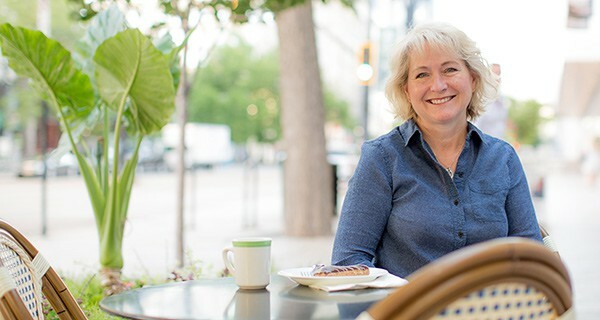 One bite of this creamy lemon cheesecake will make you feel full of summer sunshine! The bright citrus flavor and color of the lemon sauce make this the best pressure cooker cheesecake recipe! Rich, dense New York cheesecake paired with a crumbly toffee pecan shortbread cookie crust, then decorated with caramel topping, chopped pecan, crushed toffee bits, and grated chocolate. 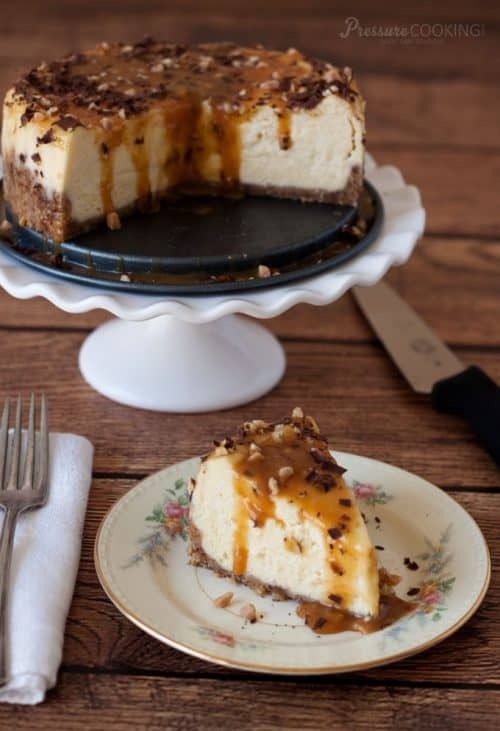 Do you agree that these really are the best pressure cooker cheesecake recipes? 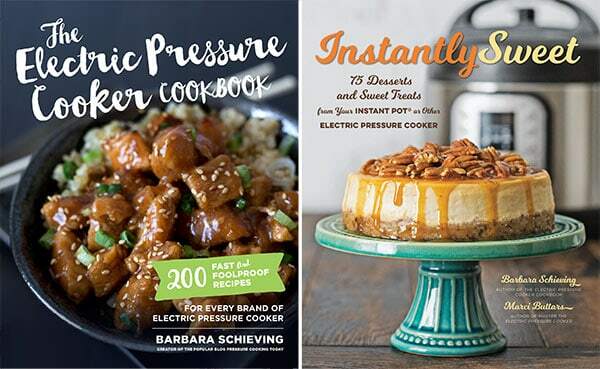 Which one of these pressure cooker cheesecakes do you think you will make first? ?